One of the biggest problems with the Play Store is that, compared to certain other platforms, its international support for both products and payment systems is comparatively meager. This is, of course, one of the main reasons that earning revenue on Android seems harder for developers. 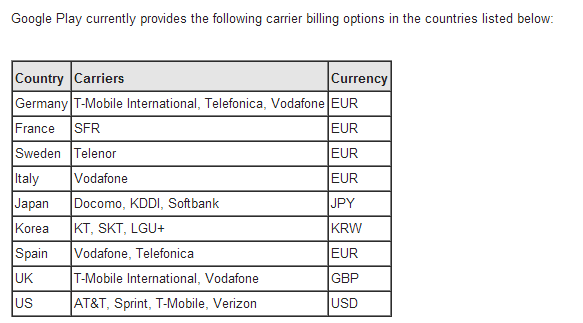 Starting today, though, if you live in Australia and use Telstra, you have one more way to pay: carrier billing. Still, this is good news for Australians. At least on Telstra. Hopefully we'll see more markets coming soon. As for our international readers, what do you guys think? Which countries and carriers need this the most?